Tournament poker, especially at the lowest levels, is often described as a lottery, but is that really true? In this day and age, it’s now possible to play more lotteries regardless of where you live thanks to the internet, which means we have a fairly large pool of data to draw from if we’re going to compare lotteries and poker. Indeed, one of most famous lotteries in the world is the Mega Millions in the US. Founded in 2002, the game starts with a $15 million jackpot that gradually grows each week assuming that no one wins one of the twice weekly draws. Traditionally this lottery was reserved for players in the US. However, thanks to the advent of online lottery sites you can now get involved from anywhere in the world. Much like online poker sites allow you to compete with an international player pool, sites like Lotto Booker give you the opportunity to play Mega Millions online with a few simple clicks. 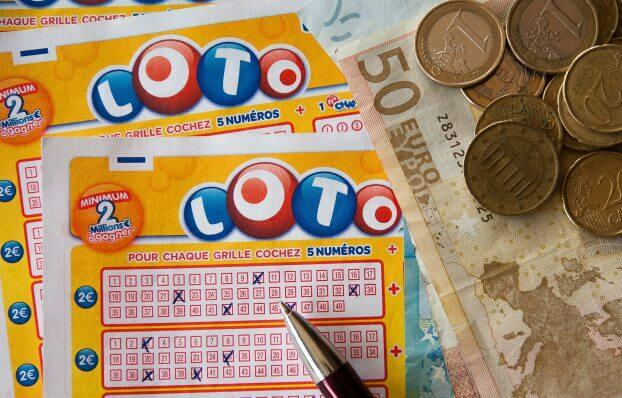 However, beyond this ability to set up weekly subscriptions and choose your numbers directly from your smartphone, Lotto Booker gives interested players a breakdown of the game and this is what we’re really interested in for the purposes of this comparison. As a poker player you should always be looking for +EV options and the data on Lotto Booker gives us a few insights into the potential of the Mega Millions lottery and, more importantly, how similar it really is to tournament poker. One of the biggest similarities between poker tournaments and lotteries is that there is a guaranteed prize. On a basic level, this gives you something to fantasise about before you join the action. However, on more strategic level, the presence of a guarantee allows you to work out how much you should be willing to spend. For example, if you were to play the Mega Millions online and the jackpot was just $15 million, you should be more inclined to invest less (i.e. buy fewer tickets). However, if the jackpot hit $656 million (a Mega Millions record), you should be willing to spend more as your potential returns will greatly outweigh any costs you incur. The same is also true in tournaments, specifically rebuy events. If the guarantee is large or the field is weak, you should always be willing to rebuy or re-enter as much as your bankroll will allow. When you ante-up in a low stakes poker tournament or freerolls, the odds of winning are probably longer than you expect. Although there is no real formula for working out your odds, the main factors you need to consider are your skill level relative to the field and the number of players. In contrast, a lottery has fixed odds based on the number of balls in play and the amount of correct picks you have to make. Regardless of how the odds are calculated, winning an online poker tournament or lottery isn’t easy. Of course, that doesn’t mean it’s impossible, it just means you need to appreciate the odds before you play. The final similarity between lotteries and poker that’s worth pointing out is that they each have multiple payout options. Although everyone focuses on the top prize in each, the incremental payouts on the way to the jackpot are extremely important for your overall ROI. While you should always be aiming to claim the top prize, the fact you can still earn a return on your investment is what makes it possible to keep playing time and time again. Before you ante-up, make sure you check how many lottery numbers you need to earn a payout (the fewer the better). Similarly, once the payouts are set in a tournament, make sure you know where the bubble is because it this is that is important when it comes to assessing a game’s EV. Lotteries and poker tournaments might not be identical, but if you peel back the layers it does seem as though there is some truth in the popular saying. Indeed, if you can remember some of these similarities, they might just help your boost your bankroll regardless of the game you choose.